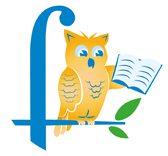 Filomathia Greek Language Centre is a well-established institution (2007) whose aim is to make learning Greek an unforgettable experience. Teaching the Greek Language has been of ultimate importance to us respectively to its History and position among the oldest and richest languages of the world emphasizing on its modern aspect and daily use. Our vision is to contribute to spreading this language worldwide and make Greek learners realize the inner connections of language and thinking. Thus, our courses are designed in a way that students always feel confident using Greek in both speaking and writing as well as being enthusiastic about discovering new aspects of the language they have chosen to learn. It all begins from experienced and qualified teachers, native speakers with great passion for their work, who stand by students as friends and tutors sharing knowledge and encouraging self-confidence. Then it is material used in class, from classical tuition to innovative methods, fun games and, most importantly, conversation. A class is never the same with another, because we know that every student is special and we always adapt to the needs of our learners. That’s why we keep students in small groups (maximum 7) and this gives us the opportunity to treat everyone in class as individuals with different personalities and cover any particular question or matter that might rise during a course. All this, of course, is supported by the magnificent surroundings of Crete. With excellent view to the White Mountains, our school offers great environment to concentrate, study and also relax! 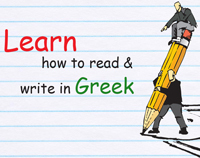 Learning Greek can be easy and fun from the very first lesson!